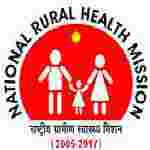 NHM Arunachal Pradesh recruitment 2018 notification has been released on official website www.nrhmarunachal.gov.in for the recruitment of total 27 (twenty seven) jobs out of which 09 (nine) for ENT Specialist, 09 (nine) for Audiologist & 09 (nine) for Audiometric Assistant Vacancies. Job seekers should apply from 1st January 2018 and before 31st January 2018. Here on this page you will get the details like the Name of vacancies released by NHM Arunachal Pradesh with exact number of posts. Some other criteria like Education details, application fee and way to apply application for NHM Arunachal Pradesh recruitment 2018. Educational Qualification: MD/ Diploma in ENT from institution recognized by MCI for S.no-1. Bachelor in Audiology/ Speech Language Pathology/ B.Sc (Speech and Hearing) from RCI recognized institute for S.no – 2. A technical person with 1 year diploma in hearing, language and speech (DHLS) from a RCI recognized institute for S.no-3. Interested and eligible aspirants may apply in plain paper along with attested copies of all testimonial, two recent passport size photograph send to the state nodal officer (NPPCD), Room No-119, Directorate of Health Services, Naharlagun-791110, Arunachal Pradesh on or before 19.02.2018.